Wordr. is the ultimate article rewriter. With two main features, it's sure to satisfy all your SEO needs. 1. 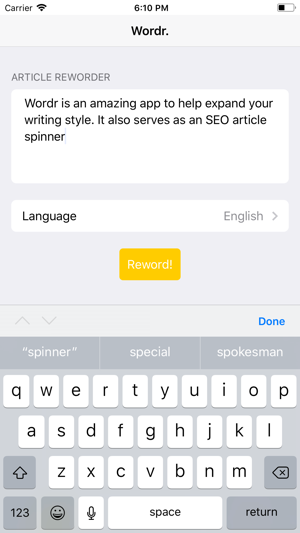 Auto spinner - with Wordr. 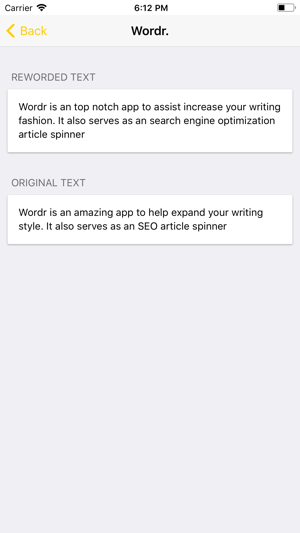 's automated article spinner, you can completely spin an article in an instant. Copy. Paste. Spin. 2. 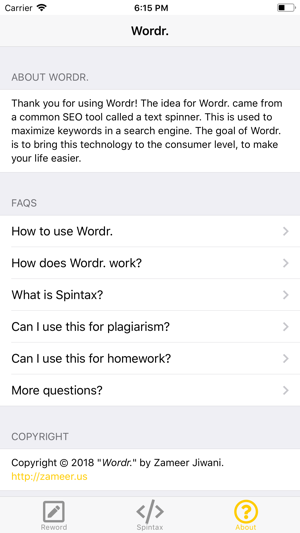 Manual Spintax - With Wordr. 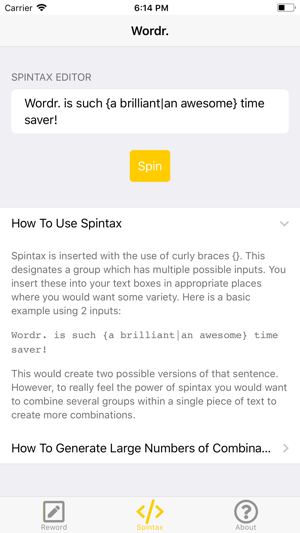 's spintax feature, you can spin your articles with custom spintax on the go. 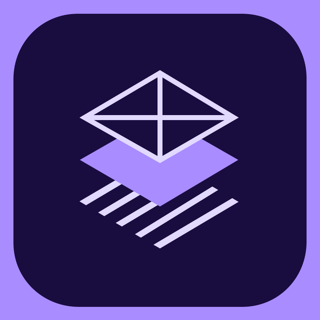 Be free of the bulky desktop programs, with a simple and elegant app. Completely change a boring selection, to one with complex vocabulary and good grammar. Fixed bug in Spintax section. Thanks for purchasing Wordr! Your support is appreciated. If you enjoy Wordr, please leave us a review and share with your friends! * Deletes line all breaks. 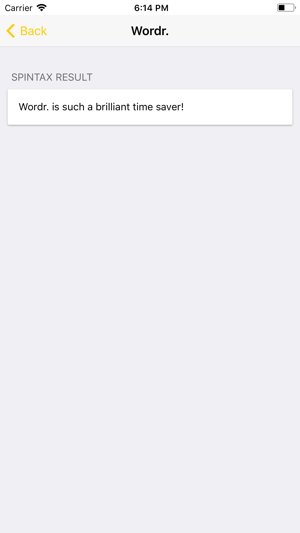 * No settings to customize replacement parameters. * Auto-replace feature returns mostly nonsense. * Custom syntax must be entered manually each time. * Works best for paragraph-sized text blocks. * Customize form letters, invitations, etc. * Potentially useful in conjunction with other apps. Lots of promise, not very useful in its current state. If the developer fixed the line break issue, that would bring my rating up to three stars. That should be a relatively small fix for a major improvement. I tried several times and it is not working. My wordr is not working , kindly know me what is happening?? ?